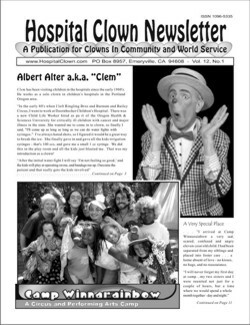 Albert shares his experience, routines, tricks and treats as a solo clown in Portland Oregon's Children's hospitals since 2000. How can we help a child who suffers from an illness that no one can see? 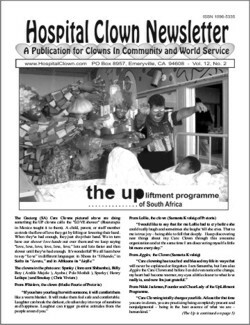 A Care Clowning and Joy Activating organization in South Africa.. . . "Great Bliss is found when we share joy with another." Nikki Jackman, Founder and Project Cheerleader of "The UP." Interview with Nikki and stories from the Care Clowns. Please check out their video on YouTube. "Laughter Is the Language of the World"
"Upliftment Project - Doctor's Orders"